ALWAYS THE TEAM TO BEAT! Welcome to our website! We are the St Joseph Eagles from Carteret, one of the most successful parish programs in the tri-state area. Year after year we continue to grow, in both size & talent! THE YOUNG GIRLS WE COACHED ARE ALL TURNING INTO AMAZING YOUNG WOMEN AND WE ARE STILL SO PROUD OF THEM. VIDEOS OF THE PAST 15 YEARS ARE BEING PUT UP ON YOU TUBE FOR YOU ALL TO ENJOY! 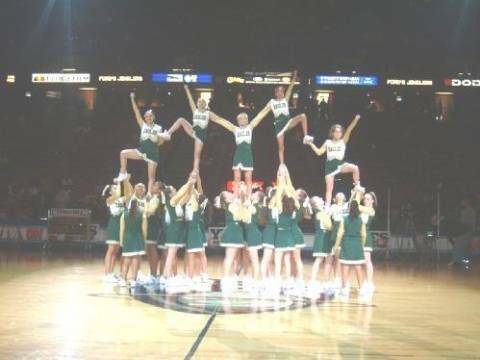 WE ARE MISSING THE VARSITY ROUTINES FROM 2004 & 2006 (DANCE THEME). IF ANYONE HAS ONE, PLEASE EMAIL KERRI AT ALLINQUEEN@AOL.COM THANKS! CLICK HERE TO SEE THE CHEER NJ ARTICLE!